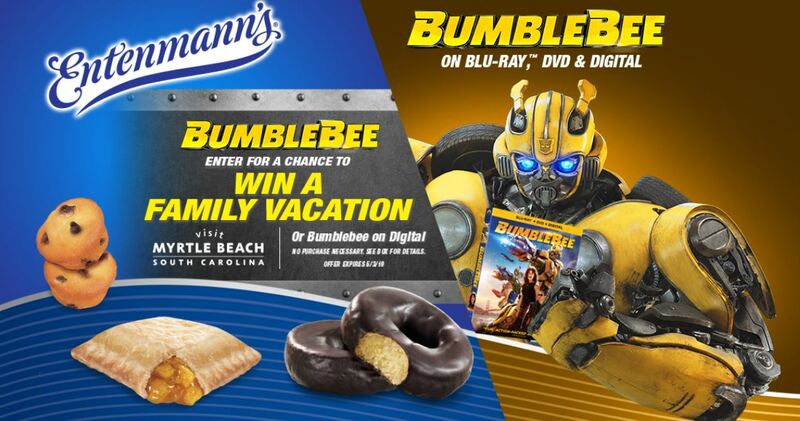 Sweepstakes — MumbleBee Inc MumbleBee Inc. 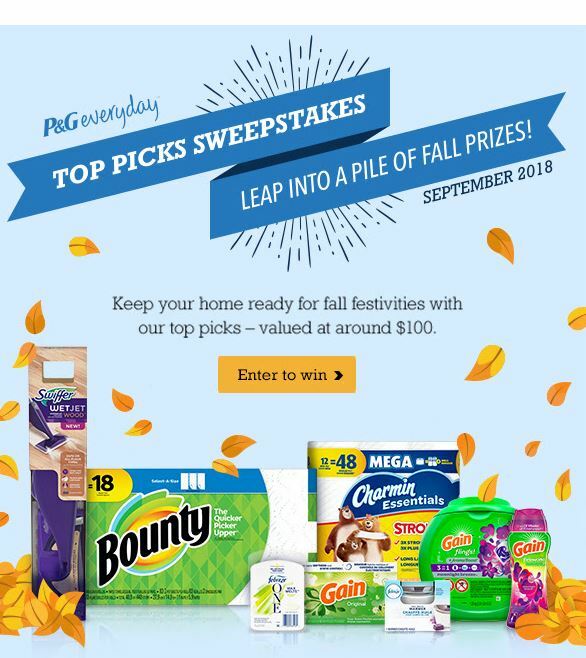 Leap into a pile of fall prizes! Win Febreze, Swiffer, Gain and more in this month’s giveaway, valued at around $100. Click “View prizes” to see what’s included. NO PURCHASE NECESSARY. Open to legal 50 US/DC. residents, 18+. Drawing Period ends 9/28/18. 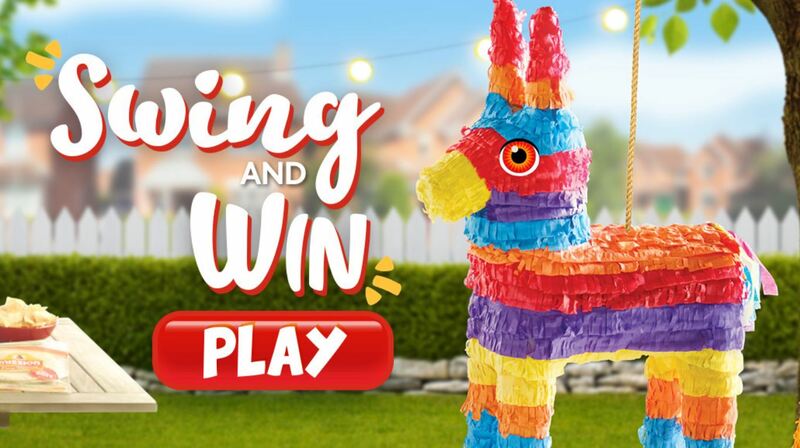 Sweepstakes End 5/24/19. See Official Rules for all entry/prize details. There will be nine (9) drawing periods (“Drawing Periods”) to award one (1) prize in each Drawing Period. Potential winners will be randomly selected by a third party independent judging organization from all eligible entries submitted during the relevant Drawing Period. The random drawing prize will be sent to the address provided at the time of entry. Odds of winning depend on the number of eligible entries received during the relevant Drawing Period. How to Enter: During the Drawing Periods indicated below, visit www.pgeveryday.com, click on the P&G Everyday Sweepstakes module and follow the instructions to log in or register to become a member of www.pgeveryday.com to submit an entry into the Sweepstakes. A person can use only one email address to enter. Limit: One (1) entry per email address per Drawing Period, no entry is carried forward to any other drawings (if any remain). To enter all nine (9) unique drawings you must enter a minimum of one (1) time per Drawing Period (see below schedule). Sponsor’s computer is the official time-keeping device for the Sweepstakes. To enter via mail (without becoming a member of www.pgeveryday.com), on a plain piece of 3”x 5” paper hand print your first and last name, street address (no P.O. Boxes), city, state, zip code, month/year of birth, e-mail address (optional) plus daytime and evening telephone numbers including area code. Mail your entry in an envelope no larger than #10 (business-size envelope) with sufficient postage affixed, to: P&G Everyday Sweepstakes Entries, P.O. Box 7768, Melville, NY 11775-7768. Mail in entries must be postmarked by May 24, 2019 and received by May 31, 2019 to be eligible for the final drawing. Limit one entry per outer-mailing envelope. Mail in entries will be placed in the relevant drawing based on the postmark date (and must be received within 7 days later to be eligible for the corresponding drawing). No entry carried forward to any remaining drawings (if any remain). No mechanically reproduced/photocopied mailed entries permitted. 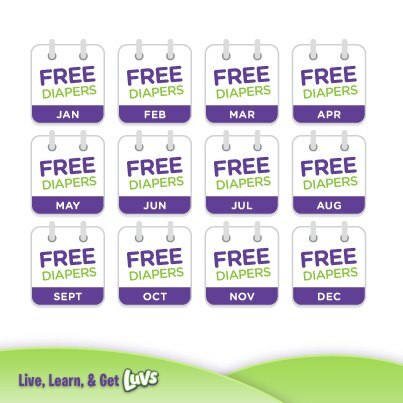 The Luvs® “Diapers for a Year” Sweepstakes will award a one-year supply of diapers to one lucky winner each month! The Luvs® “Diapers for a Year” Sweepstakes (the “Sweepstakes”) begins 10:00 a.m. Eastern Time (“ET”) on 8/1/2018 and ends at 11:59 p.m. ET on 6/30/2019 (the “Sweepstakes Period”). The Sweepstakes Period consists of eleven (11) monthly entry periods as defined in the chart below (each an “Entry Period”.) Each Entry Period begins at 12:00 a.m. ET and ends 11:59 p.m. ET, with the exception of Entry Period 1 which begins at 10:00 a.m. ET. The Sweepstakes is open only to legal residents of the fifty (50) United States and the District of Columbia who are at least eighteen (18) years old as of the last day of the month prior to the date of entry. How to Enter: During the Promotion Period, visit the Luvs Facebook Page (www.facebook.com/luvsdiapers) and click on the “Diapers For A Year Sweepstakes” application or the Sweepstakes website at luvsdiaperssweeps.dja.com (the “Website”). Follow the links and instructions to complete and submit the registration form. By completing the registration form, you will receive one (1) entry into the appropriate Entry Period drawing, as outlined above. Entries must include a valid email address and home address to be eligible (P.O. Boxes are not permitted). Limit one (1) entry per person per day during the Sweepstakes Period. Grand Prizes and Approximate Retail Value (“ARV”): Grand Prizes (a total of 12 Grand Prizes – broken out as described above): A one (1) year’s supply of Luvs Diapers, awarded in the form of 71 coupons. The ARV of each Grand Prize is $709.29. Terms and condition of coupons apply. No transfer, substitution or cash equivalent for prize will be permitted, except at the sole discretion of the Sponsor in such circumstance, an alternate prize/prize component of equal value will be awarded and the Sponsor’s obligation to the winner will be fulfilled, and no other additional compensation will be provided. Acceptance of prize constitutes permission for the Sponsor and its agencies to use winners’ names and/or likenesses for purposes of advertising and trade without further compensation, unless prohibited by law. Limit one prize per person. Drink to win 2XP Codes from Monster Energy for your Call of Duty Black Ops Game! Codes for 2XP for use in Call of Duty®: Black Ops 4 multiplayer available inside specially marked Monster Energy® 10-packs and 4-packs, and under the cap of specially marked 24oz cap cans. Promotional period: 9/1/2018 to 6/30/2019. Codes not valid after the promotional period. Offer open to legal residents of the 50 United States/DC, aged 18+. Purchase of Call of Duty®: Black Ops 4 game and Call of Duty account registration required; additional pay subscription services may be required to use the 2XP codes in multiplayer play. Limit 1 hr. 2XP per day and 40 hrs. total. Limit applies to all 2XP redemptions for Call of Duty®: Black Ops 4 (not limited to this promotion). Void where prohibited. NOTE: Purchase of the Game is required to use the 2XP redeemable through this Promotion; additional pay subscription services may be required to use 2XP in the Game’s multiplayer play. The 2XP cannot be redeemed nor exchanged for any monetary value. The 2XP content may be available for purchase and/or other giveaway(s) separately at any time. 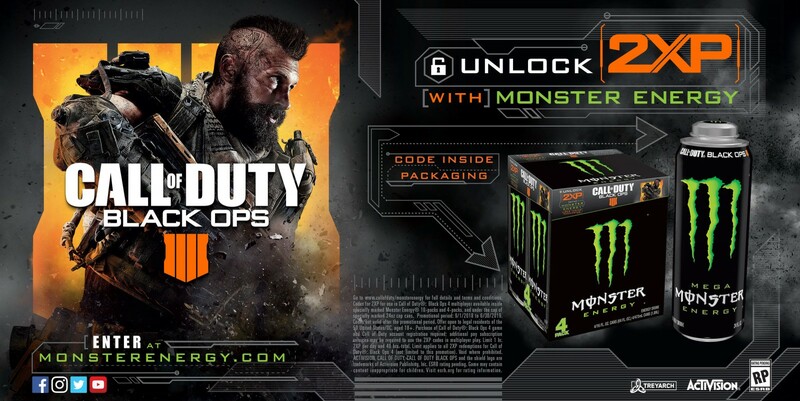 Go to www.CallofDuty.com/MonsterEnergy for full details and terms and conditions.